Apr 20 — Red Ribbon Ball --“One Hot Night in Havana” Antlers Hotel. See p. 3 in April newsletter. Apr 26 — Inside/Out Queer Prom --“The Masquerade” at Palmer High School Gym. May 3-4 and 11 — Concert — “50 Shades of Gay” celebrating the 50th Anniversary of Stonewall — Out Loud Colorado Springs Men’s Chorus. See p. 3. Jul 12 — One Colorado Statewide Tour — Featuring Gov. Jared Polis — In Colorado Springs as kickoff to PrideFest. 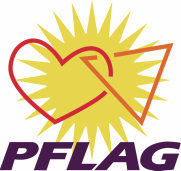 Jul 13-14 — PrideFest Colorado Springs --- Save the Date --Help in the PFLAG booth and plan to march with PFLAG in the Pride Parade on Sunday morning.